VERSA Technologies, Inc. is a full service business technology solutions provider, specializing in IP Business Communication Systems and industry-leading support. Learn more about the services we offer below, and contact us to learn how we can help your business today. 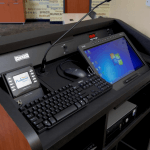 VERSA Technologies Inc. can quickly improve your company’s efficiency and productivity with cost-effective solutions that meet your Business Communication System requirements. 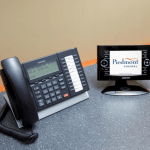 Our experts design, install and support leading-edge IP Business Communication Systems for businesses throughout North Carolina. As a single-source provider of Business Technology Solutions, VERSA can help you achieve the right IP Business Communication System for your business. Learn more here. Looking to refit, add locations or move into a new space? 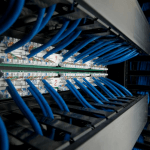 VERSA Technologies can design, install and support your Voice and Data Structured Cabling Infrastructure, allowing you to grow with flexibility and peace of mind. As a single-source provider of Business Technology Solutions, VERSA can help you achieve the right Structured Cabling System for your business. Learn more here. Never worry again about losing precious data or business due to network downtime. VERSA Technologies Inc offers a complete business network services and support package, including 24/7 network monitoring and maintenance, monthly software and malware protection packages, and more! Learn more here. Discover the flexibility and security our Access Control and Video Surveillance can bring to your business. As a single-source provider of business technology products and services, VERSA can guide you to a solution that gives you more control over your work environment. Learn more here. Give your business a distinct competitive advantage with a leading-edge and seamlessly integrated Sound and Audio/Video System. As a single-source provider of products and services, VERSA Technologies can design, install and support the right audio/video solution for your business. Learn more here. 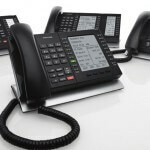 From internet and data packages to local and long-distance phone systems, we offer it all. VERSA Technologies installs and manages all types of telephone and internet service packages, networks, and more. Let VERSA be your one-stop-shop for all your network carrier needs. Learn more here.